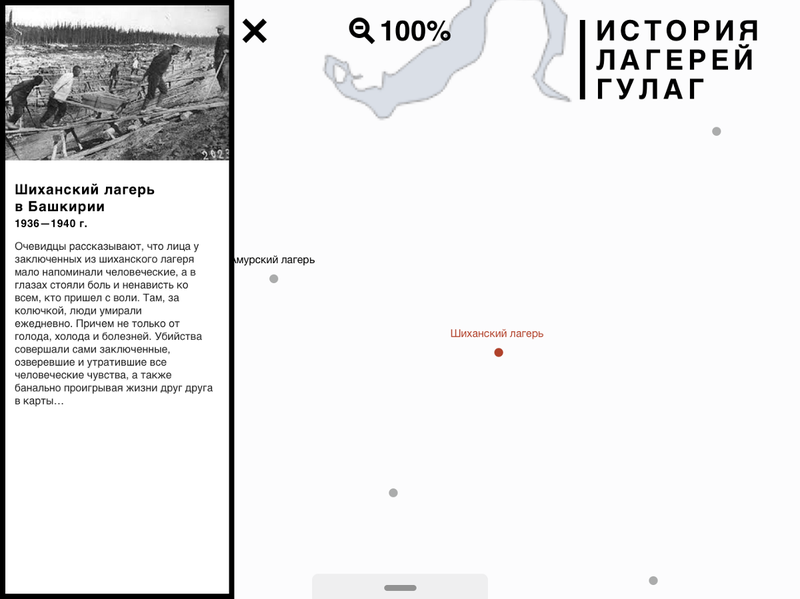 The GULAG History Museum approached us two years ago, in March 2016, with a project request of an interactive map that would display the historical development of the GULAG labour camps system from inception to the end of operation. In cooperation with the research department and the curatorial and technical team of the museum, we have created a product where high technology, history and social significance are intertwined. Look for the map at gulagmap.ru. 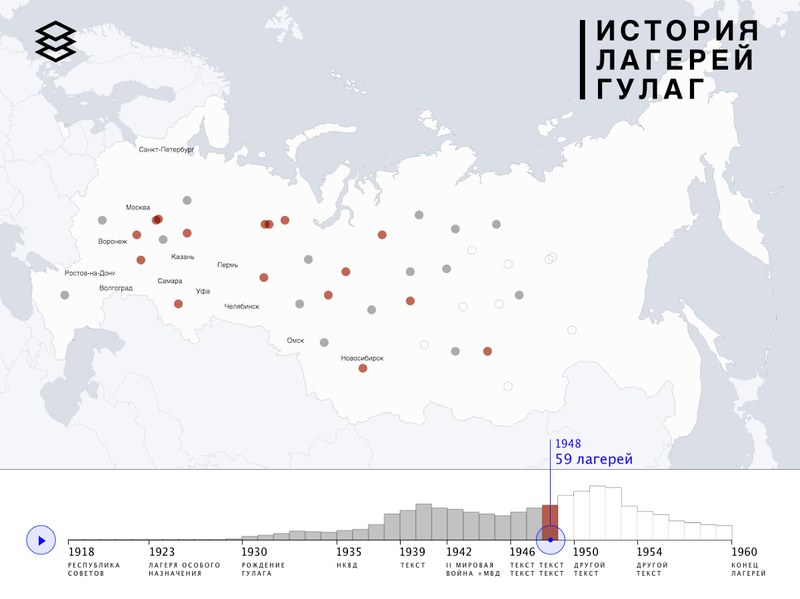 It was not merely about displaying the GULAG camps locations spread across the map, the aim was to show the chronological development of the GULAG system. The map is built around the time scale, that starts with the foundation year of the first camp in Solovki in 1918 and ends with 1960, the year when the GULAG institution was officially closed. By changing the year setting you not only see the picture of camps locations change, but also other movements that took place in the past, such as the borders of the Soviet Union, locations of certain cities and towns and their names. As no digital geo-formatted data on the USSR borders was available, we went to the Map Division of the Russian State Library and worked through the atlases of each year from 1918 to 1960, and then drew the respective borders for each year layout. The information about cities and towns founded and renamed within the period was also manually collected. Thus now a city appears on the map only in the year of its foundation, the city name changes so frequently happening in the Soviet period also correspond to each year. The major load of work was devoted to the creation of an aggregate table of unmatched data about the camps, including their production area, history and development. 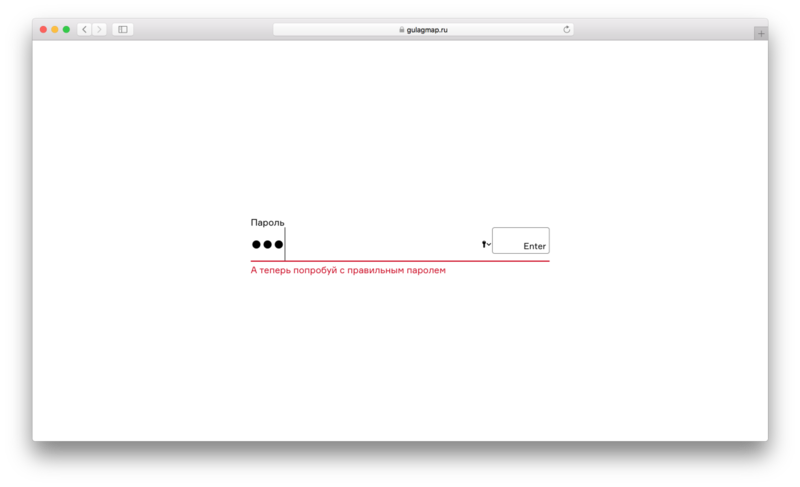 The science department of the GULAG museum digitized all that has been collected by the researchers for years, often bit by bit during field research. 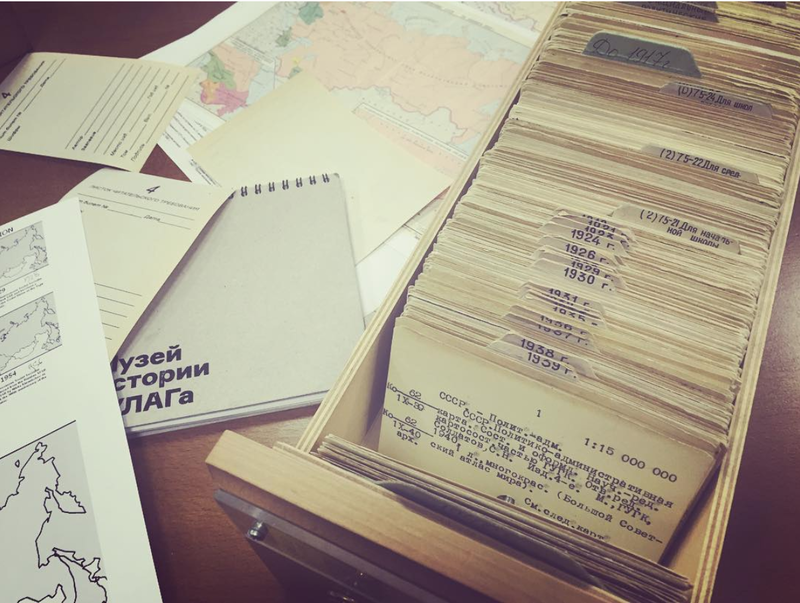 Now thanks to the great input of the museum staff, and also the local researchers and activists involved in studying the legacy of the GULAG institution across Russia, the map allows seeing detailed information about 555 camps in different parts of the Soviet Union. We highly appreciate the project of creating the map of the history of GULAG not only because the issue of freedom is important for us, but also for the great work experience it gave us. It strengthened our teamwork skills, taught us to better communicate and cooperate with customers, to master developing the design that really solves the challenge, trying out and applying new technologies. The project was a real challenge for us throughout the entire period. Faced with the need to rewrite the backend and redesign the database to make it more suitable for the expanded scale of the project, we ended up arranging an inter-team hackathon. 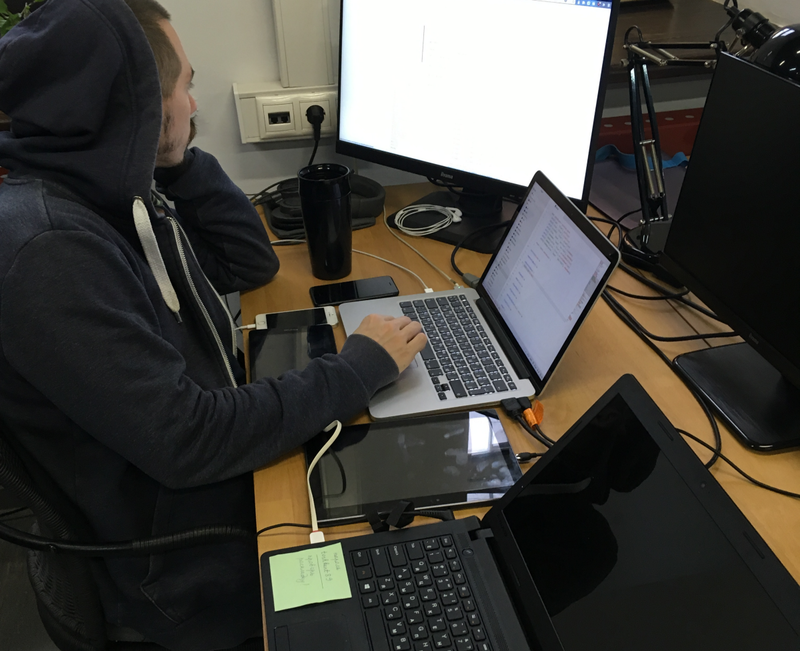 That’s how our frontenders were able to get acquainted with the server-side development. Now the GULAG Map is composed of the whole set of our favourite technologies. Here we use React, Redux, Immutable, Saga, D3, Docker, Node.js with Koa и PostgreSQL with PostGIS. The heart of the map is Urbica’s original component @urbica/react-map-gl, that concides plain-word describing of the state of the map and management of the layers. 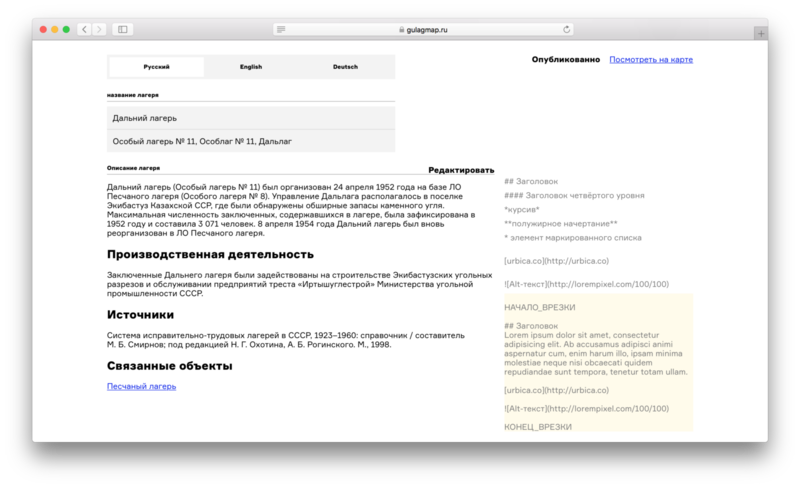 What’s important about this project is that it is not a one-off research data collection base, but a long-term use platform for the researchers across Russia, who constantly collect and add information about the GULAG camps. The GULAG institution has long ceased to exist, but there is still a lot to learn about its history and geography. A lot of documentation has been destroyed or still classified, buildings abandoned and leveled to the ground, and the collective memory and cultural trauma still not subject to public discussion. Local scientists, the descendants of the GULAG inmates and field researchers are still collecting fragments of information about the camps, their locations and structures. The admin panel of the map is in place in order to enable the museum and its partners to update the map in accordance with the new discoveries. The admin panel is linked to the same database as the client’s side of the map. When users add or edit data, the changes are immediately shown on the main map. The map is multilingual — at the moment only Russian is available, English and German are about to come. A user enters the official name of the camp and also alternative names that could be used for the place, fills out the description of the camp, indicates the location and period, the work types the inmates did, adds photographs and documents. 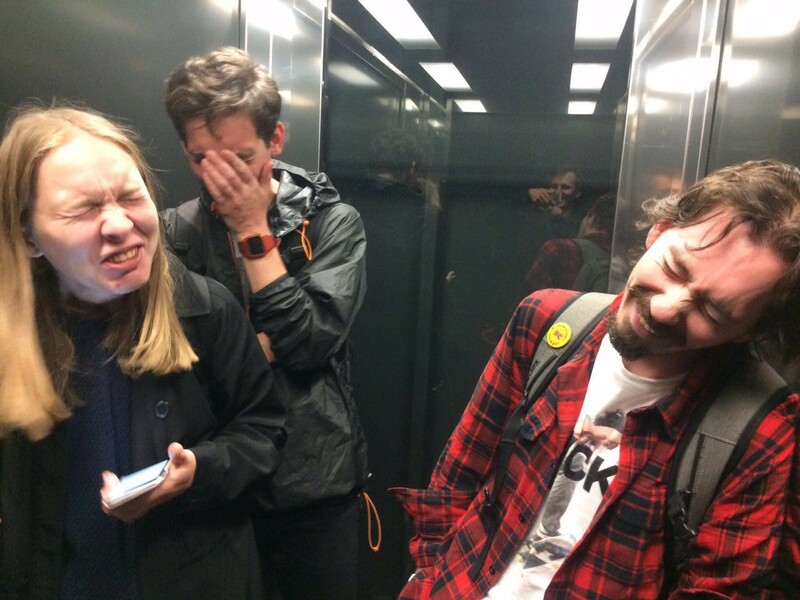 Two years with a project is one whole life. 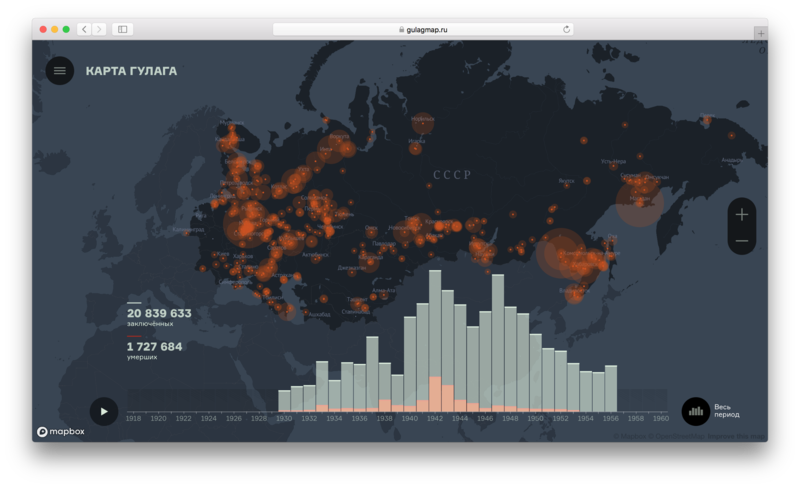 We are lucky to have been working together with the brilliant team of the GULAG History Museum, for they carried out a huge archival work, structured the disparate data, and helped us come to understanding of how the map should be arranged. We dare to believe that we did something important together with the Museum — one step closer to understanding GULAG, its scale and influence on all of us.